Three days ago, we heard about Samsung pulling their newly-announced Galaxy Tab 7.7 from the IFA show floor, possibly because of Apple injunctions against Samsung’s products in Germany. This was later indirectly confirmed by the company and today, more information has been revealed about the event as well as the Apple-Samsung case in general. 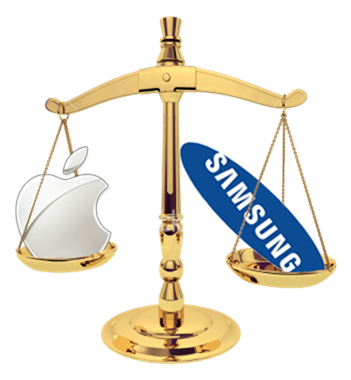 For those unaware, Apple filed an international lawsuit against Samsung Mobile for their Galaxy S and Galaxy Tab series of products back in April this year. While it was dismissed in America, Samsung wasn’t so lucky in Europe, where sales and marketing of its Galaxy S and Galaxy Tab products have been ordered to be shut down. Today’s report about the Apple-Samsung case comes from Yonhap News Agency which states that Samsung has indeed confirmed that all references to the Galaxy Tab 7.7 were wiped from the IFA consumer electronics show in Germany because of injunctions from Apple, Inc. over the hardware and software design of Samsung’s Galaxy S/SII, Ace and Tab series of Android-powered smartphones/tablets. These references included banners and demo units of the Galaxy Tab 7.7. Samsung Electronics Co. said Sunday that it is not showcasing its latest Galaxy Tab tablet computer any more at the ongoing annual trade show in Germany in a bid to respect a German court’s approval of an injunction sought by Apple Inc. Besides this, a report from Bloomberg suggests that Apple is being pressurized into revealing specific details of sales numbers in the US and UK of the iPad over their patent lawsuit against Samsung in Australia. The court wishes to infer from this data, whether the launch of the Samsung Galaxy Tab actually had any effect on sales of the Apple iPad or not. Apple is resisting to fulfill the request, despite the statement from the judge that not revealing said data would significantly put things in Samsung’s favor, something which Apple wouldn’t want in any case. The Galaxy Tab 7.7 was announced at German technology conference IFA along with the 5.3” Galaxy Note. Both are powered by dual-core 1.4GHz processors, have Super AMOLED HD+ displays and are based on Android 3.2 “Honeycomb” and Android 2.3.x “Gingerbread”.